2015 marked a successful year for U.S. farmworker advocates in their struggle against pesticide use and exposure. In September, activists finally succeeded in pressuring the Environmental Protection Agency (EPA) to update the Worker Protection Standard (WPS)— the only existing federal standard to protect U.S. agricultural workers from pesticide exposure and poisoning. 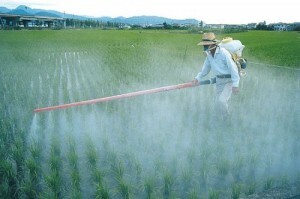 With around 20,000 pesticide poisonings reported each year in the U.S., activists and farmworkers had long viewed the standard, last revised in 1992, as insufficient in light of mounting evidence of pesticide-related health hazards. Out of growing concern to protect farmworkers and children—who remain the most vulnerable to exposure— Earthjustice filed a legal petition against the EPA to update the WPS in 2011. Support for the petition was widespread; over 200,000 people participated in the public comment period for the 2014 EPA proposal. Viewing the recent amendments as a “step in the right direction,” activists remain hopeful, but also acknowledge the challenges that still lie ahead. One challenge being that the WPS, as a federal regulation, does not ensure sufficient individual U.S. state oversight, and will require a continued effort on part of community and nonprofit organizations to hold their states accountable to the revised standards. On another hopeful note however, in October following the 2015 WPS update, the EPA also announced its proposal to ban the agricultural use of toxic chlorpyrifos. While the final ruling will not be enounced until 2016, the proposal marks another success long in the making since 2007, when Earthjustice first took legal action against the EPA to ban the chemical. This is extremely important for all developing countries thinking about or actually importing chlorpyrifos, and related pesticides.